This is one of those recipes that I’m almost embarrassed to share. Don’t get me wrong. These little squares are quite tasty. It’s just that they’re so easy to make that it seems almost wrong. There’s plenty to like about these salty treats. First of all, peanut butter is always welcome with my taste buds. That is, of course, enhanced by all the peanuts. And, for a girl who really is not a fan of them, the marshmallows work beautifully. Plus, they have that wonderful sweet and salty thing going for them. With only 5 ingredients and no baking involved, you can have these bars whipped up in short order. As much as most of us bake around the holidays, this is a perfect recipe to have in your arsenal for parties and gifts. 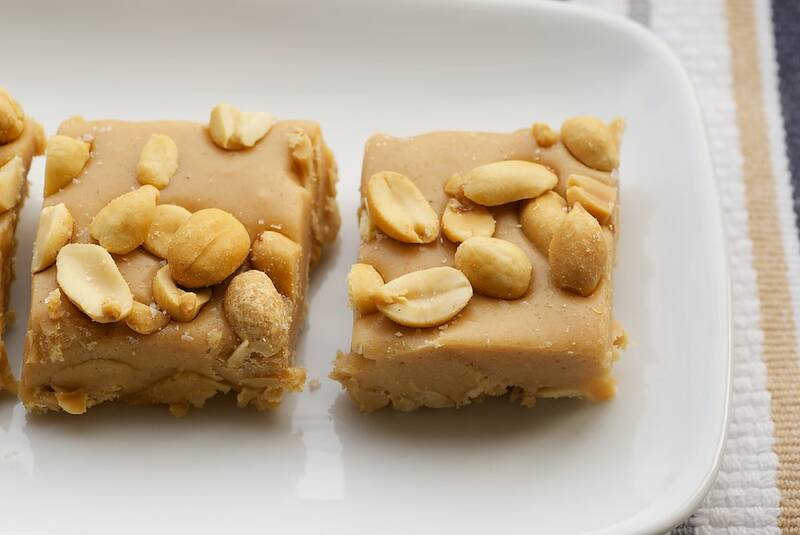 Five ingredients are all you need to make these Salted Nut Squares. A great no-bake sweet and salty treat! Place 1 & 1/2 cups peanuts in the bottom of an ungreased 11″x 7″ pan. Melt the butter and peanut butter chips in a large saucepan over low heat. Stir until smooth. Remove from heat. Stir in the condensed milk and marshmallows. Continue stirring until smooth and well-blended. Pour the peanut butter mixture over the peanuts in the pan. 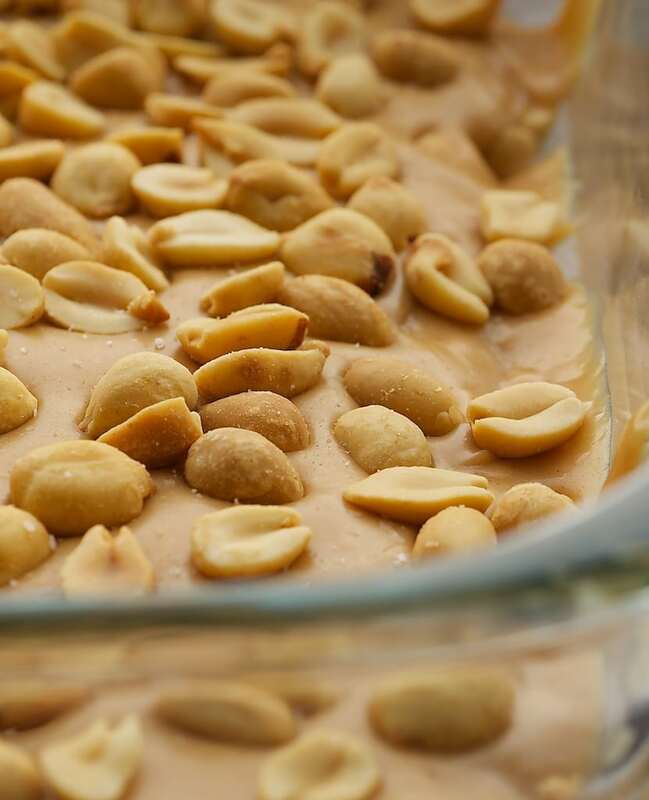 Sprinkle the remaining 1 & 1/2 cups peanuts over the top of peanut butter mixture. If saltier bars are desired, sprinkle lightly with salt. Cover and refrigerate until chilled. Then, cut into bars. Bars can be served chilled or at room temperature. These can be made in a 9″x 13″x 2″ pan. 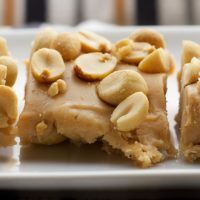 Use another cup of peanuts, divided between the bottom of the pan and the top of the bars. The same amount of filling will work and give you slightly thinner bars.